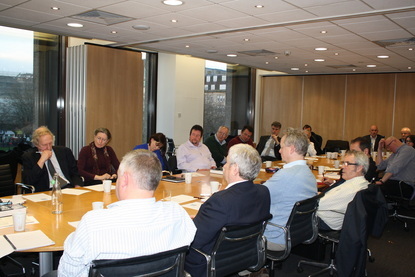 ShenSmith Barristers, SBCB, SME Alliance all Join together in Fight for SME Victims of Bank Fraud to seek fair Redress. 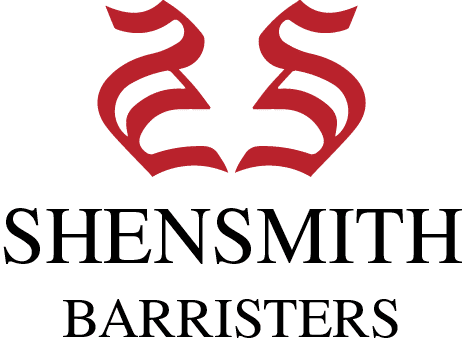 ShenSmith Barristers is a unique and remote business support service to barristers and chambers with unique beginnings where client choice and service are the founding principles of their operation and remain at the very heart of their vision for the future. ShenSmith have years of innovative business experience, their founders inevitably had first hand experience of the legal process and all that it entails for the client. During that process the founders were introduced to the concept of Direct (Public) Access to barristers’ services for advice and representation. The complex nature of the advice required meant that dealing with Queen’s Counsel and senior barristers was not only swift and proficient, but a very cost-effective solution for legal advice. This experience prompted the founders to establish BarristerDirect.co.uk as a means to explain the benefits of direct access to the general public and small to medium sized enterprises. Feedback was overwhelmingly positive and it was very clear that both the general public and SMEs benefit from their exposure of the new model of Direct Access to the Bar, with a surprising number of people simply unaware of the precise nature of barristers’ work and how their services can be accessed. ShenSmith became so passionate about helping people and companies to find legal assistance and reduce the stress of their situation, that they decided to commit significant resources to establish and build ShenSmith Barristers, leveraging their extensive marketing and technological experience to continue to increase awareness of client choice in this new era. ShenSmith have specifically selected barristers that are keen to engage with the public, and to partake in their client-oriented marketing efforts, such as introductory and explanatory videos. Their video production has been a huge success, giving confidence to clients that they can truly rely upon their barristers to help them with their case. SME victims now have a reason to feel hopeful in their struggle to seek fair redress from the Bank’s for their parts in the alleged behaviours reported in The Times by James Hurley in May. SBCB & SME Alliance have known for some time how this type of dysfunctional behaviour can immediately improve Tier 1 Capital ratio’s on Bank’s balance sheets. Piece by piece through 1000’s of hours of investigations our exciting new Partnership makes us best placed to assist all SME complainants going forward. We are currently liaising with Bank’s and we have offered to work with them in unravelling failings of the past and helping reform for the future. To quote one recent publication from Reuters this further endorses what SBCB & SME Alliance have known for sometime. One morning in May, the chief executive of Royal Bank of Scotland, one of Britain’s biggest banks, called together his senior executives for an urgent briefing. Ross McEwan had just attended a meeting with officials at the financial regulator and had important news. The FCA report already delayed on more than one occasion is not likely to be published until the end of 2015 at the earliest, meaning speculation about its findings would persist. Those in the Financial Services Industry who understand the UK regulator fear what the report will uncover as delayed reports normally make grim reading. If it appears that Bank’s have systematically taken SME’s out as our evidence suggests to improve their Balance sheets through what can only be described as alleged Theft this would send shock waves through the banking sector like no other. 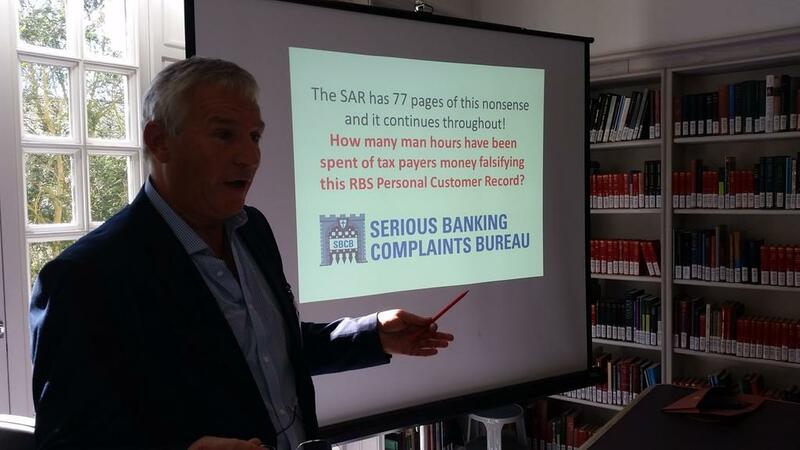 Mr Keats highlighted that due to his latest investigation “This latest finding has all the potential to be a significant development for all historical Banking Complaints as proven already with QC’s contacting SBCB regarding cases heard over 10 years ago”. Based on all of the above you would forgive any SME wanting to record all conversations with Bank Employees regarding their Banking Arrangements and Photo-Copying all communication. Is this really what UK Banking has become? once admired now loathed by many.